Membership in the Adventure Club is open to intermediate and advanced level riders aged 8 and up who love to ride but aren’t necessarily interested in racing. Members will participate in weekly practice rides focused on building confidence, mastering new skills, and having fun with friends while participating in a sport that will lead to a lifetime of active enjoyment. There will also be occasional weekend social rides at various locations around the region. We will make every effort to group riders of similar age and ability together, but members can expect practices and social rides to move at a casual pace with stops for regrouping as often as necessary. 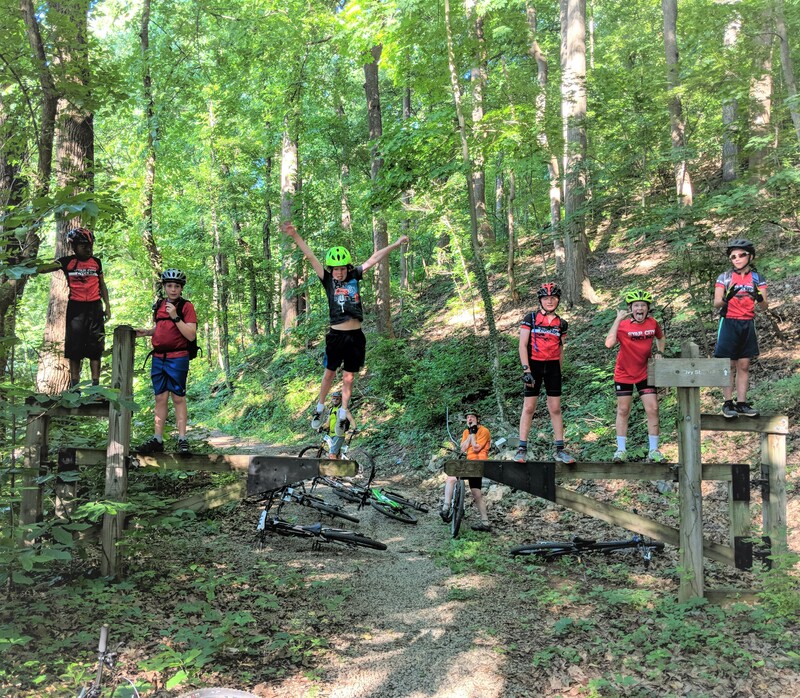 Adventure Club members are welcome to race if they choose to do so but there is no racing requirement and no race specific training or instruction will be provided during practice. If your child is the competitive type, be sure to check out our JV and Varsity Competition Team programs.